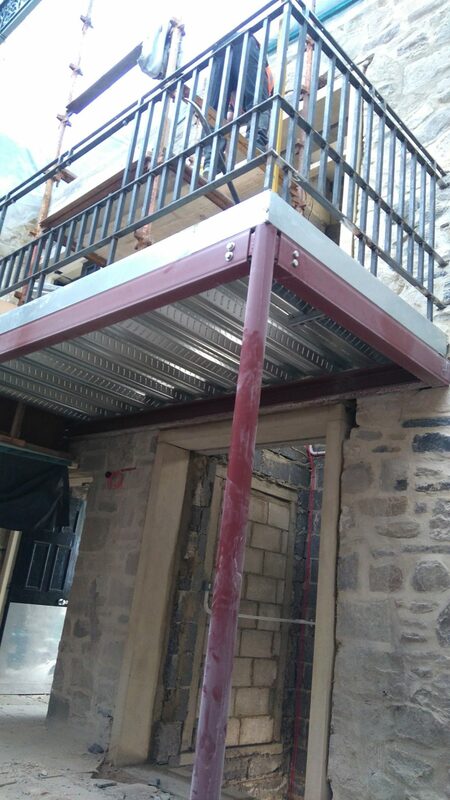 Alterations to an existing lift shaft at the Craven Court shopping arcade in Skipton, North Yorkshire. We created new stonework openings to the lift shaft within the shopping arcade prior to a new lift being installed. The new lift openings were constructed in natural stone to match the existing surrounding stonework in this award winning retail area. The works were carried out while the shopping area remained open. Lift Installation at Craven Court Shopping Arcade in Skipton, North Yorkshire. This entry was posted in Commercial and tagged Commercial Builder. Bookmark the permalink.